Offering dedicated legal services backed by four decades of experience, HJA are a successful group of London solicitors. Their specialist teams will provide high calibre advice on a wide range of legal matters, with particular expertise in, personal injury claims, employment and family law. They handle: Work Injury, Wills and Probate, Unfair/Constructive Dismissal, Slip Trip or Fall, Serious/Catastrophic Injuries, Road Accidents, Professional Negligence, Power of Attorney, Personal Injury, Motoring Offences, Motorbike Accident Claims, Medical Negligence, Legal Services, Industrial Injury or Disease, Immigration & Visas, Holiday Sickness, Faulty Products, Family Law, Employment Dispute, Divorce, Discrimination and Harassment, Disciplinary Defence, Debt Recovery, Criminal Law, Criminal Injuries, Consumer Rights Dispute, Commercial Property, Business/Commercial Law, Business Dispute Resolution, Asbestos Claims, Accident Compensation Claims. Taylor Rose are a multi-disciplined law firm offering expertise on a variety of legal issues, for both business and private clients. Distinguished by an attention to detail and client dedication, they aim to provide outstanding client experiences that are price competitive whilst not compromising on either quality or results. 'City standards at regional fees'. They also have staff with a wide range of language skills including French, Polish, Mandarin, Cantonese, Kutchi and Gujarati. They handle: Work Injury, Wills and Probate, Unfair/Constructive Dismissal, Road Accidents, Residential Property, Professional Negligence, Personal Injury, Medical Negligence, Legal Services, Immigration & Visas, HMRC/Tax Law Help, Family Law, Employment Dispute, Divorce, Discrimination and Harassment, Debt Recovery, Debt / Bankruptcy, Conveyancing, Consumer Rights Dispute, Commercial Property, Civil Litigation, Business/Commercial Law, Business HMRC & Tax Law Help, Business Dispute Resolution, Business Debt/Insolvency, Accident Compensation Claims. A city based law firm covering a huge range of legal services for both individuals and businesses. They can also assist non-resident Indians with different aspects of residence and immigration in the UK. They promise efficiency and professionalism throughout your case, and to always meet the client's expectations no matter how complex the issue. They handle: Wills and Probate, Legal Services, Intellectual Property, Immigration & Visas, Family Law, Employment Dispute, Divorce, Disciplinary Defence, Debt Recovery, Commercial Property, Business/Commercial Law, Business Dispute Resolution. As one of the few boutique law specialists, Stirling Ackroyd Legal offer expert advice on a personal and commercial basis. They are a multi-disciplined legal services provider that can communicate with their clients in over 25 different languages and expertly handle a range of straightforward or complex matters. They provide clear, practical advice resulting in the best outcome for their clients. They handle: Immigration & Visas, Charity Law, Business/Commercial Law, Business HMRC & Tax Law Help, Business Dispute Resolution, Wills and Probate, Residential Property, Power of Attorney, Motoring Offences, Licensing Law, Legal Services, Landlord/Tenant Dispute, HMRC/Tax Law Help, Family Law, Divorce, Debt / Bankruptcy, Criminal Law, Conveyancing, Consumer Rights Dispute, Commercial Property, Civil Litigation, Business Debt/Insolvency. Thamina Solicitors provide high quality legal advice and representation personalised to suit both businesses and individuals. They promise clients a cost effective and stress free process. They handle: Legal Services, Immigration & Visas, Family Law, Divorce, Commercial Property. [snippet ...] The current Lord Mayor is Alan Yarrow. The name "London" is now ordinarily used for a far wider area than just the City. It is also unusual in having responsibilities and ownerships beyond its boundaries. It is one of two districts of London to hold city status; the other is the adjacent City of Westminster. The City is a major business and financial centre. It constituted most of London from its settlement by the Romans in the 1st century AD to the Middle Ages, but the conurbation has since grown far beyond the City's borders. There is nonetheless a law in place which requires Royal Navy ships which enter the Port of London to offer a barrel of rum to the Constable of the Tower of London. [snippet ...] The relative quality of the business sector is measured by the U. The retail part may be attempting to lift itself up taking after the retreat however there are still a lot of productive non-private alternatives for speculators. Sorts can incorporate office structures, distribution centers, or retail (i. Business land is regularly isolated into six classifications. 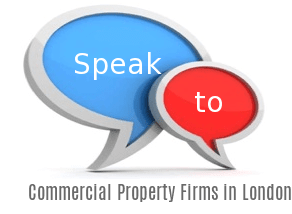 Lengthy established three partner Oxfordshire observe with a robust business presence within the region need to additional strengthen their property group through the recruitment of a solicitor or certified legal govt with a minimal of two yrs PQE in residential and industrial property issues.